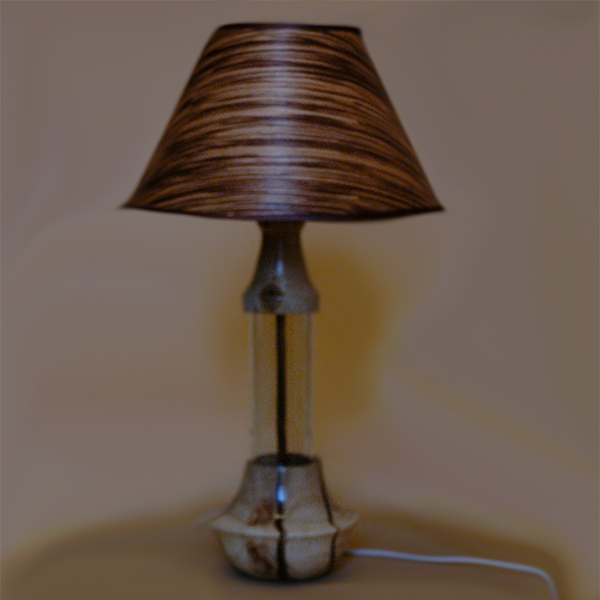 A handmade lamp with an exquisite combination of different wood types, jeweltry resin and glass. Makes a simple and cold interior cosier. An unusual gift. Dimmer included.